During my formative years I discovered this comic SWAMP THING by relative newcomers Alan Moore, Stephen Bissette, and John Totleben. I was a kid, but old enough to realize even then that this was something special. Alan Moore’s words and Bissette and Totleben’s visuals even at the time, and it was a strange time because everything felt in flux and on the brink of changing, even at the time, getting these off the stands, the combination of these three men working together felt like greatness. And some things are hot in the moment, but some things, some work that is rushed out for the masses, to meet deadlines for a castigated medium, some work screams greatness from the go, and time only makes it more great. From pioneers like Stan Lee and Jack Kirby and Steve Ditko and Roy Thomas and Gerry Conway and Steve Englehart and Chris Claremont and Kraft and Giffen and O’Neil and Neal Adams and Jim Steranko and Bernie Wrightson there was a new generation building on the foundation they laid down. Don Lomax (who I had the pleasure to interview) would give us VIETNAM JOURNAL. Frank Miller would give us DARK KNIGHTS and RONINS and YEAR ONES. William Messner Loebs would create a frontier masterpiece, unfotunately a hidden gem to most, with JOURNEY. Bruce Jones – With his TWISTED TALES would almost singlehandedly give birth to a new EC inspired golden age of Horror Comics, but making comics that were horrifying to a Reagan era age. and of course… Alan Moore. Alan Moore would birth many such works, particularly in the waning decades of the 20th century. SWAMP THING was one of his earliest successes and remains one of his most iconic works. And for me one of his most beautiful works, working with the art team of Bissette snd Totleben, they were visual storytellers that could really add and evolve and enrich the scope of Moore’s script, throwing in their own ideas and visuals. It is very much the work of three young men riffing on their loves, and remains now 30 years later still very seminal work. Bissette in the years since has become one of the most respected instructors, teaching at the celebrated Center for Cartoon Studies in vermont. One thing you may not know about him, and I first discovered listening to an Indie Spinner Rack podcast episode (that great now defunct show) is he is a FANTASTIC speaker. He is such an engaging and erudite and interesting wealth of information on this beloved hobby and artform and the personalities behind it. And I love podcasts to begin with, so combining this walking encyclopedia of not just comic lore, but film and film journalism, books, the art of creating, of self publishing, of blogging, and for me… that is entertainment. So ever since I’ve listened to him, whenever I catch him interviewed on a podcast. So here without further ado is hours of audio greatness with one of the best artists in Comics, and one of its most engaging speakers. INDIE SPINNER RACK #79 8 May 2007 – My first introduction to Stephen Bissette post SWAMP THING, this put him on my radar as just a fantastic and informative speaker. A great interview/conversation. Talkcast #102 8 Oct 2011 – Very annoying hosts makes this one almost unlistenable, but fast forward to where Bissette finally gets to speak about fundraising and HP Lovecraft. LOST IN THE STATIC #99 -25 Nov 2013- Fun informative hosts lead inro a really compelling interview on Bissette, that includes Edgar Allen Poe, Greg Irons, Skull #6, Moore, Veitch, Totleben and the Saga of the Swamp Thing. Indie work on Gore Shriek, Shriek, and the ground breaking Dave Simm funded TABOO. Structure of TABOO inspired by Harlan Ellison’s brilliant DANGEROUS VISIONS and AGAIN DANGEROUS VISIONS. Bruce Jones TWISTED TALES, X-MEN’S Brood Saga. TABOO designed by Bissette to be taken seriously, and push the envelope and make people ‘drop it on the ground’. Kirby Awards. A must listen podcast. Adam Greenfield’s great podcast MAKING COMICS has had Stephen Bissette as a guest three times, and all three are brilliant, with nice Vincent Price/Poe Intros. Well worth hunting down. Oct 2014,2015, & 2016. UNDER CONSTRUCTION – Come back as I flesh out the content in all the interviews and conversations! 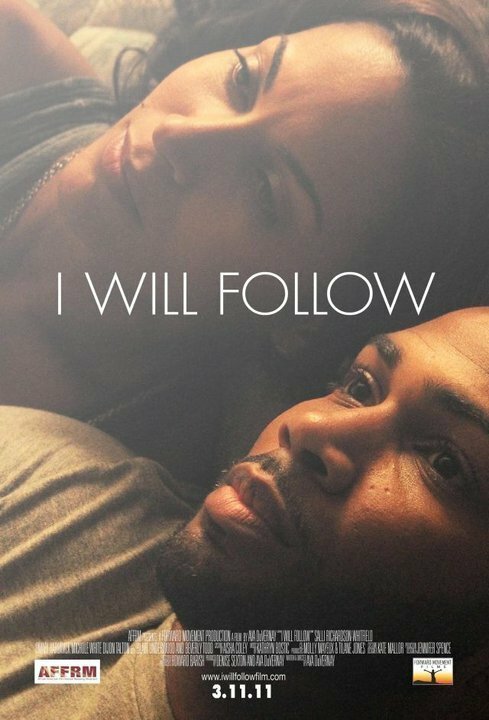 Director Ava Duvernay with a deft and assured touch helms I WILL FOLLOW, a bitter-sweet drama focusing on a niece, played impressively by Salli Richardson-Whitfield dealing with the aftermath of her aunt’s death. Low key and understated, it’s wonderfully acted with an impressive cast, as a parade of characters come to give and take, in the wake of passing. Definitely worth a look, and as of this writing you can still catch it on streaming for a couple more days. It’s a subtle, understated film, but one worth having. 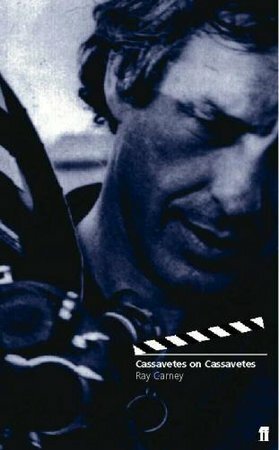 Grade: B.
Ray Carney has written quite a few books on iconoclast, maverick actor/filmmaker John Cassavetes, and the one I’m currently reading is CASSAVETES ON CASSAVETES. I am also currently watching the 1959/1960 private eye show JOHNNY STACCATO starring the inexplicable John Cassavetes. It was researching the show that led me to a mention of Carney’s CASSAVTES ON CASSAVETES. Through the book I wanted to get a better handle on the show, why it didn’t last, and what Cassavetes thought of it. The book covers all these bases and more. It’s an elucidating look at a gifted, driven man for whom confusion and consternation and rabble-rousing, was part of what he did. In search of truths maybe, perhaps simpler… perhaps in search of feelings. Johnny Staccato starring John Cassavetes – 3 DVD Box Set! A good book that I recommend, particularly in context of the short lived JOHNNY STACCATO, which is, failings aside and Cassavetes dislike aside, at times great, and never less than interesting.